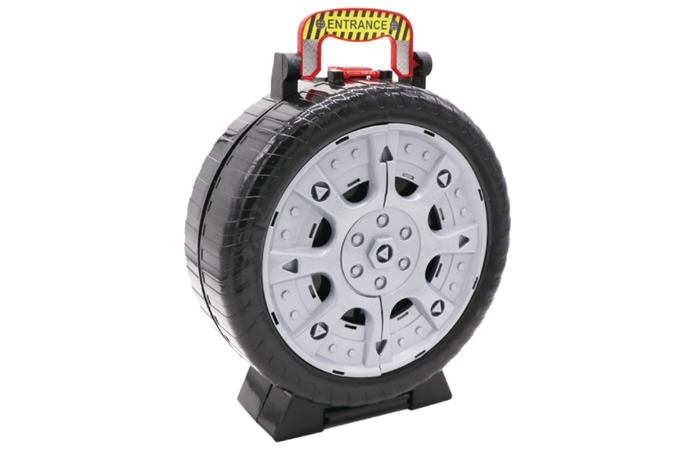 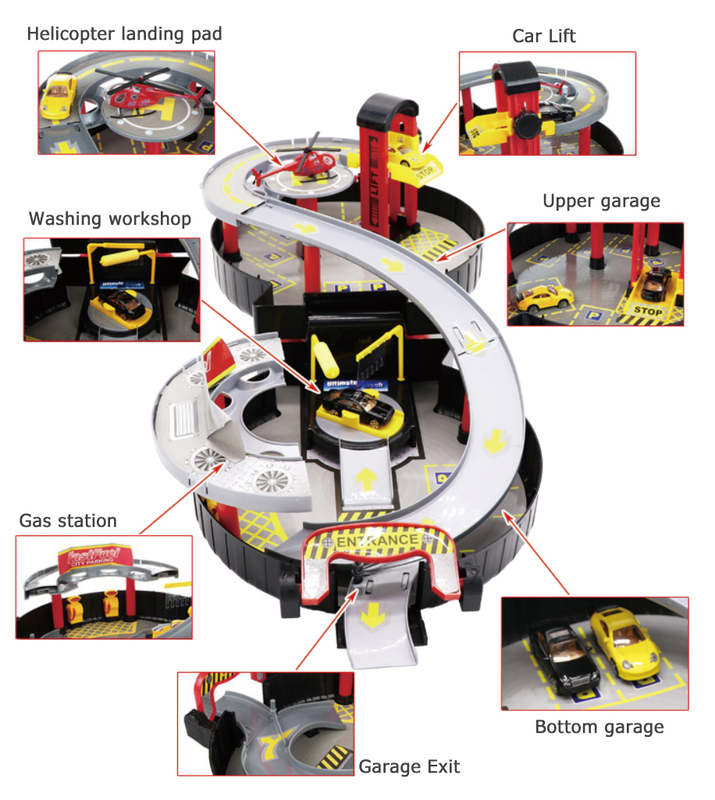 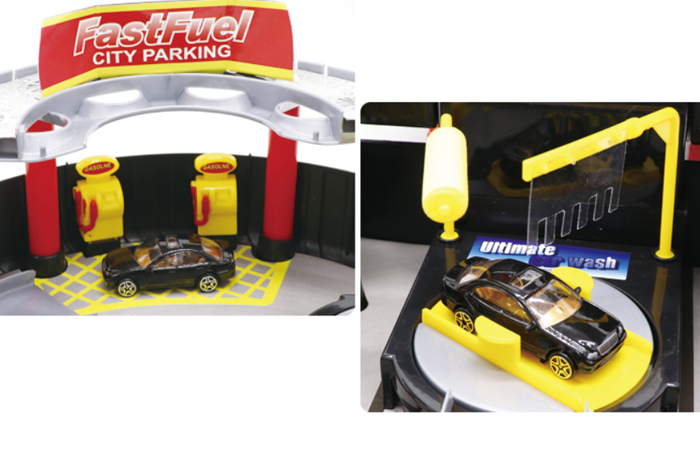 Wheel Style, Foldable, Portable, Convenient Storage, Garage Parking Playset. 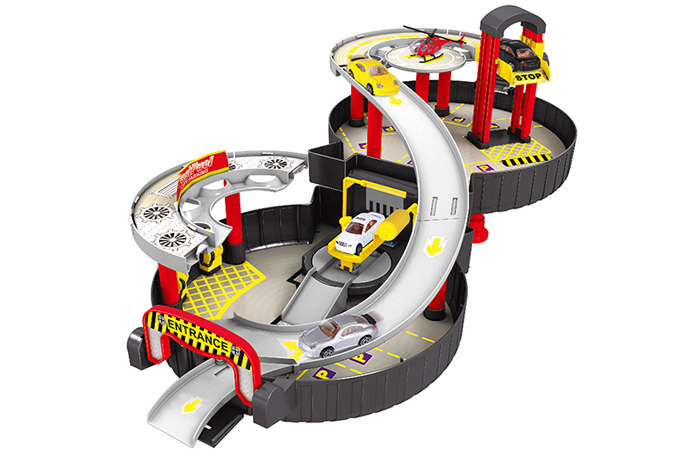 - 2 floors of car parking. 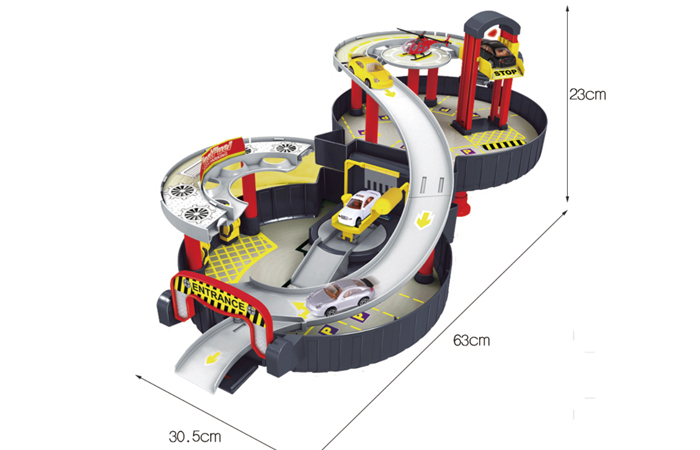 - Size:	63cm x 30.5cm x 23cm (cm = centimeter). 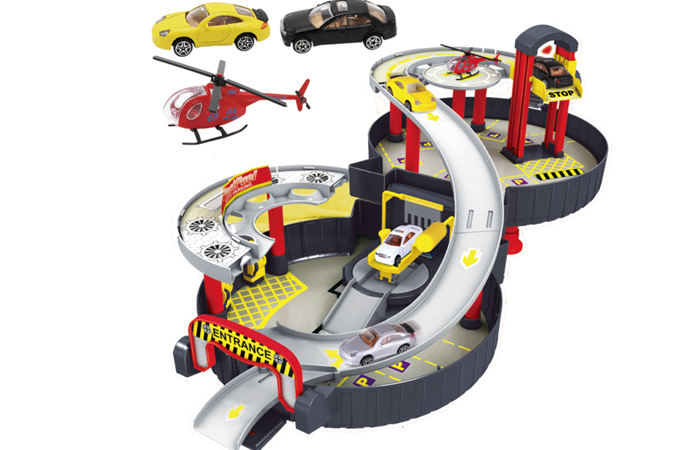 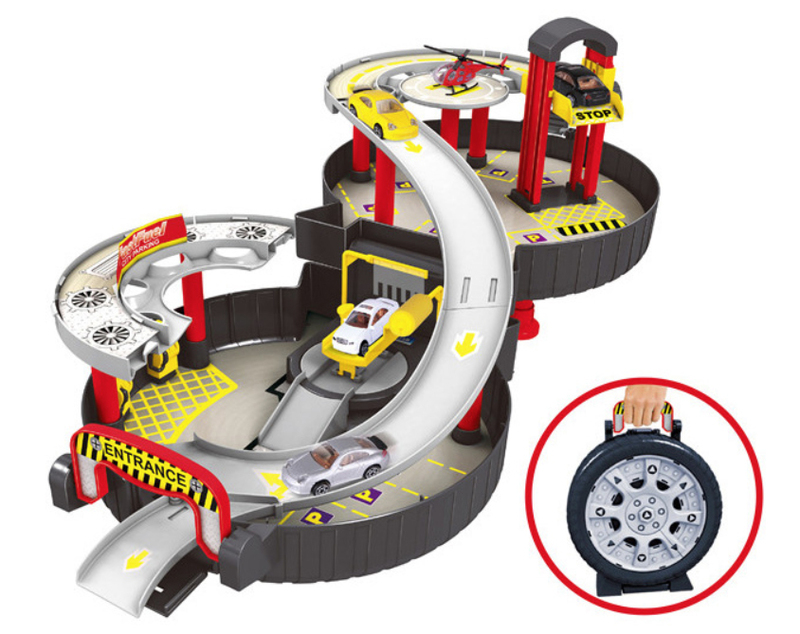 - 1 x Wheel Style Double Layer Garage Parking Playset. 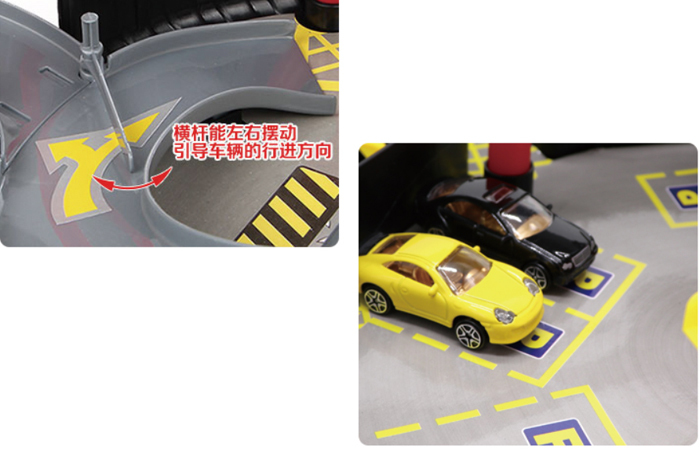 - 2 x Die-casting Toy Car. 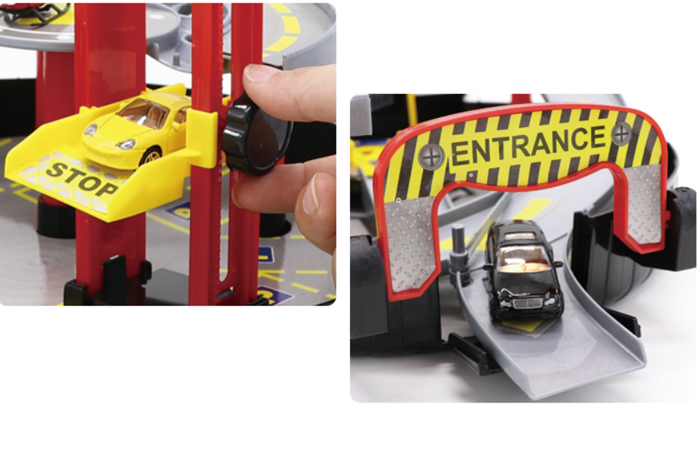 - 1 x Die-casting Toy Helicopter. 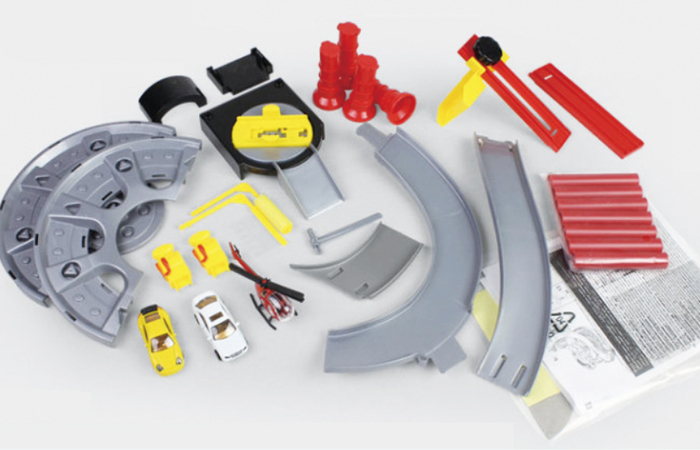 - Some accessories for track.